Jaguar Charleston knows what a pain it can be to find the right Jaguar part for your new Jaguar F-PACE, F-TYPE, XE, XF and XJ. Asking people at the store for help rarely results in any progress, and sorting through stock numbers can further add to the confusion. Wouldn’t it be great if there was someone you can turn to for help finding the parts you need? As it turns out, there is: the auto parts professionals at Jaguar Charleston, proudly serving Parkersburg, WV, Hurricane, and Huntington, West Virginia. They’re trained to know every aspect of each part we sell, both function and compatibility, in order to ensure you vehicle gets the attention it deserves. They’re also instructed to offer special deals on select parts we sell in order to help you save money, if possible. Interested in seeing how our team can assist you? 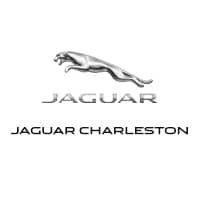 Jaguar Charleston is conveniently located at 7 Dudley Farms Lane in Charleston, WV. That said, if you don’t have time to see us in person, we can also be easily contacted online or by phone at 304-746-0500.